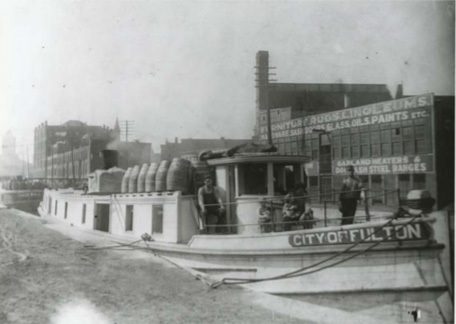 Steamers such as the “City of Fulton” provided freight and packet service between Syracuse and Fulton. Date unknown. Image is from the collection at the Erie Canal Museum, Syracuse, NY.